Bait the fish are feeding on: Shrimp, crabs, pinfish, glass minnows, sardines, whitebait (threadfin Herring and scaled sardines). Target species right now: Redfish, Sea Trout, Snook, Ladyfish, Jack Crevalle, Spanish Mackerel. There are a few tarpon too! Fishing tactics: The morning dropping tides this week will provide great fishing around the oyster beds. As the tide comes back in and the sun angle increases the flats will be the place to target. Reds and snook will be cruising outside the mangroves early in the tide. By mid-tide they will be up under the mangroves enjoying the shade. My fly fishing tip of the week: If you get refusals on the flats try a different speed strip on the next fish. In many cases; if you think you are stripping too fast – speed up! 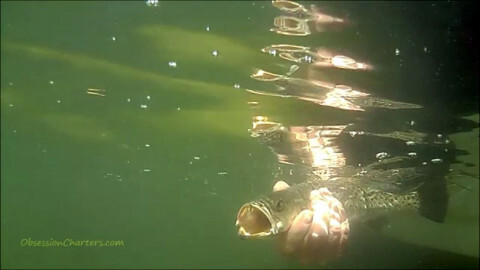 Baitfish rarely get into stare downs with predator fish. They try to get away - fast. My spin fishing tip of the week: Chose a lure that allows you to fish the bottom 1/3 of the water column. That's where the fish layup and travel.Even a few inches too high in the water can discourage a strike. 7 day outlook: Warm and dry with low humidity. There is a slight chance of a shower on Thursday. Windy on Wednesday otherwise, moderate north and northeast winds. Get out there and catch em up!